We are proud to present our full grain, vegetable tanned leather accessory bags for your scooter. 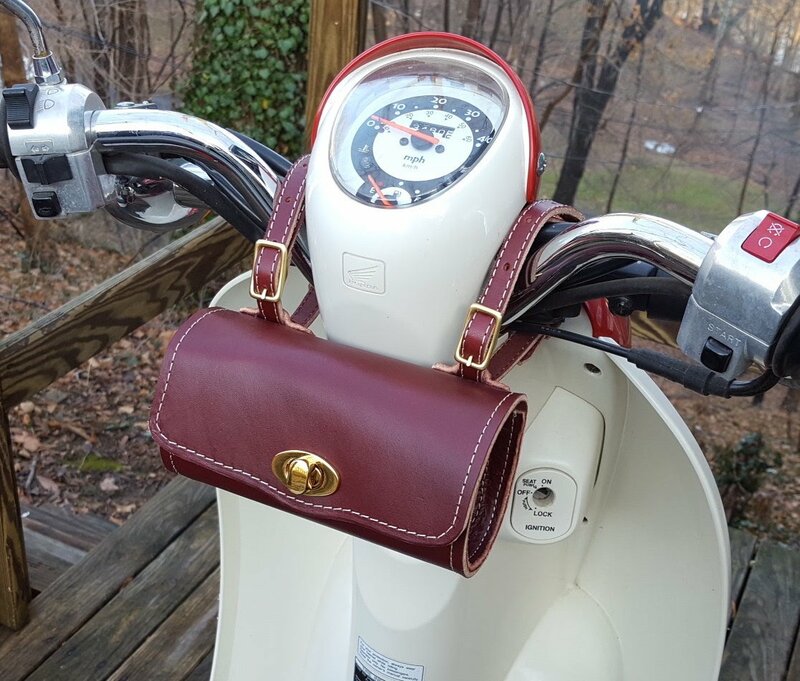 This is the perfect gift for yourself or your favorite scooterist! We source our leather from a 150 year old tannery in Pennsylvania, and our products are hand sewn to last a lifetime. This is one bag that will improve with age, develop an even richer patina, and become a trusty companion on your scooter travels. 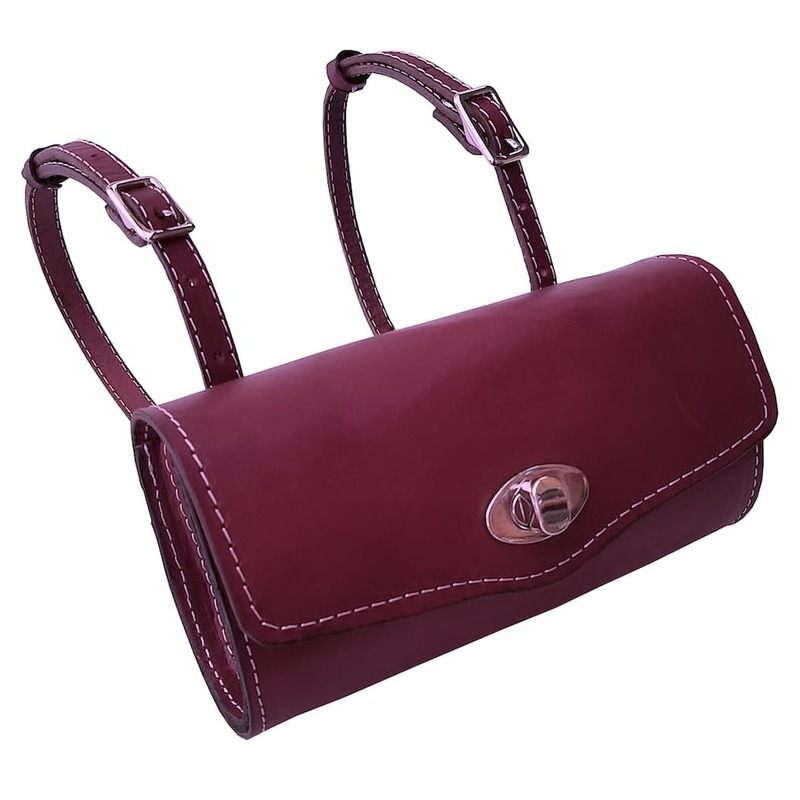 Our small size roll bag measures 8 inches long by 3 inches wide by 4 inches tall and is perfect for items you need quick access to, such as your phone, glasses, money, tools, etc. 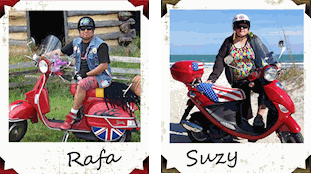 Equipped with 2 separate and loose 22 inch leather straps, these can be adjusted to fit any scooter, and once fitted, the brass buckles can be positioned in such a way to be far away from touching the body of the scooter. Hand sewn with gorgeous contrasting beige stitching and equipped with brass hardware, our small roll bag is also available in chestnut and black. 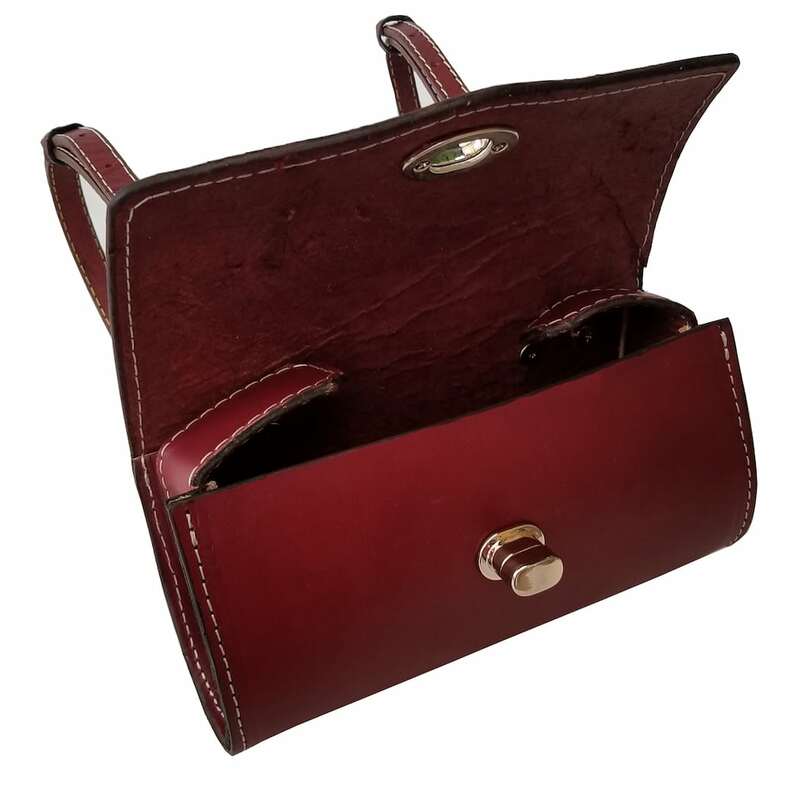 Leather is a natural product, and some variations in color and markings will occur. We believe this adds to the unique beauty and character of this product.